Paris Fashion Week is in its final days and one of the newest Americans who has taken La Ville-Lumière by storm is Blake Lively. She was recently named the face of Chanel’s Mademoiselle handbag line (the first ad shot above) and to celebrate, the world-renowned handbag line threw her a fabulous Parisian fête. She took it back a few years with a silver metallic sequin short-sleeve dress with a tiered skirt from the brand’s Spring 2008 Haute Couture collection. She accessorized with Lorraine Schwartz Jewelry, a black handbag from the Mademoiselle collection and Salsbourg sandals from Christian Louboutin ($1095). I am an avid fan of mix and match and I love that she chose shoes that were offbeat and provided a funky complement to the dress. With that said, the black handbag didn’t really work, but she is the face of the brand and thus has to tote the goods. Lively has become something of an anomaly in Hollywood, not taking on a stylist to dress her for her many red carpet events all around the globe. I applaud her for her courage, but who really needs a stylist when you’re a Chanel ambassador and can have your pick of the litter from the brand? 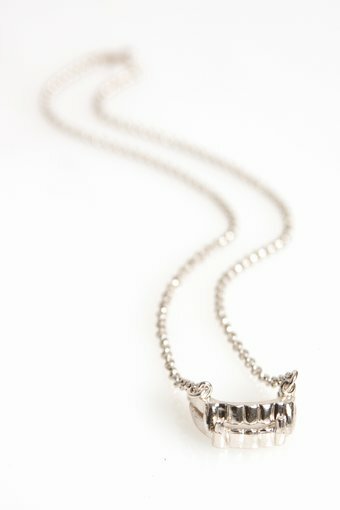 The Little Tormentator Necklace from Delfina Delettrez ($315) is creepy, cool and badass all in one. 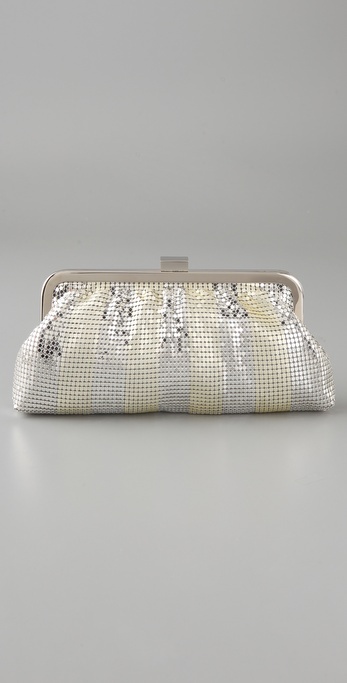 Whiting & Davis’ Matte Shine Stripe Clutch ($145) to add a bit of glam to all your party ensembles. 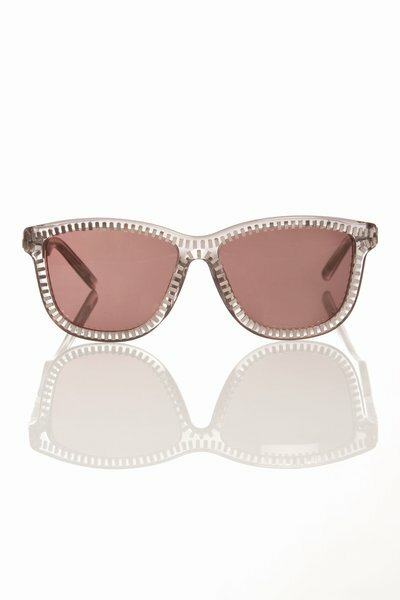 Alexander Wang for Linda Farrow’s Silver Zipper Sunnies ($365) that you will wear everyday without a doubt. Visit www.chanel.com for more information and see Blake Lively’s look on the runway below. *Images courtesy of Getty and Daniele Oberrauch.